Whew, I am wiped after a day in the sun! 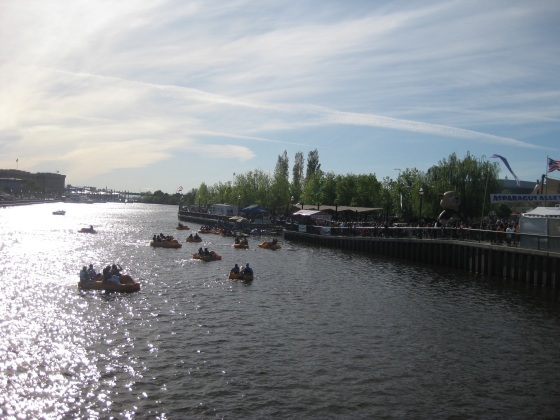 An awesome day at the Stockton Asparagus Festival, perfect weather, great friends and lots of great sights. Since we moved here 5 years ago, I’ve been planning to make it to this festival and finally did. 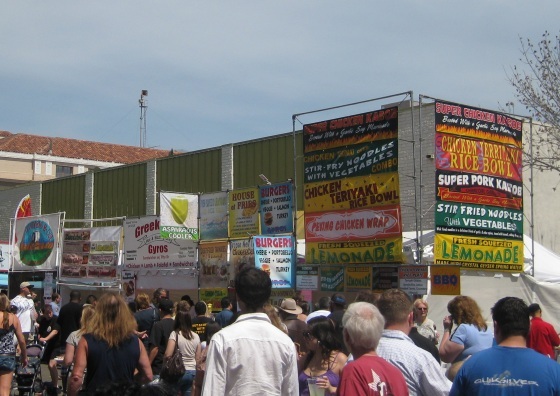 Hubby and I went with a couple of friends and learned that, like most festivals, this wasn’t going to be cheap – $10 for parking, $12 to enter, $6 drinks and pricey food tickets. Oh well, it’s an occasional splurge. Lucky for us the friends we went with have been before and warned us to get the deep fried asparagus early in the day because the lines would get insane later in the afternoon. They were right, people were waiting about an hour in line for these when we left! But there was no wait when we grabbed some at noon – crazy! These were a total splurge, but quite tasty with a crunchy shell drizzled with garlic vinegar. The festival was super crowded, no surprise, but not easy to navigate. 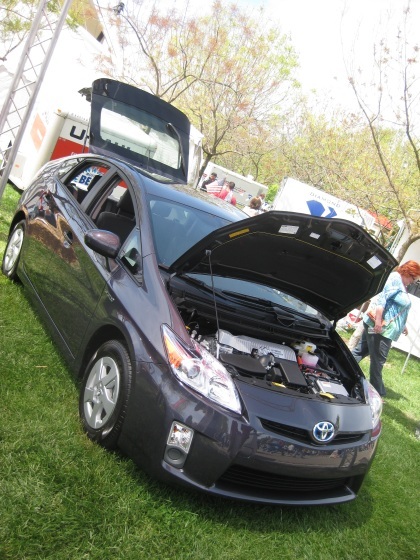 Next stop was the Toyota booth to droll over my dream car some more. Then on to browsing all the vendor arts & crafts. 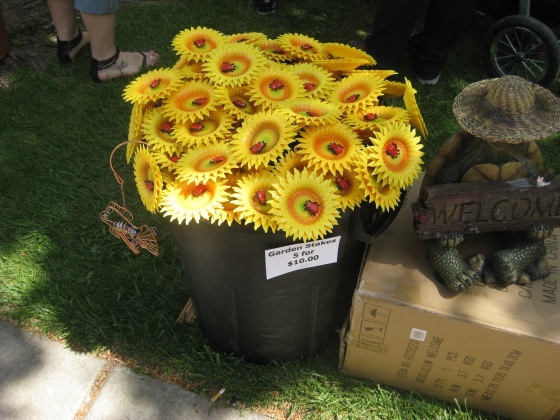 These lawn stakes were super popular for some reason, loads of people were carrying them around. Not my taste. The weather was absolutely perfect, in the 70s and a slight breeze. If people could make a hole-in-one in this golf island from the shore, then they won a car I think. Of course it was pretty much impossible with the wind and distance, but fun watching people try. 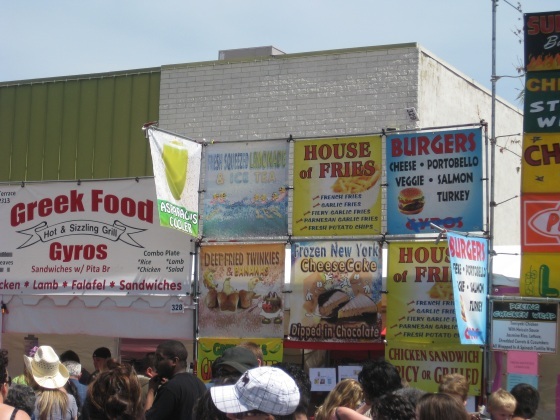 The food booths actually offered a lot for vegans – mushroom burgers, veggie noodle bowls, smoothies, fruits cups, and nuts. 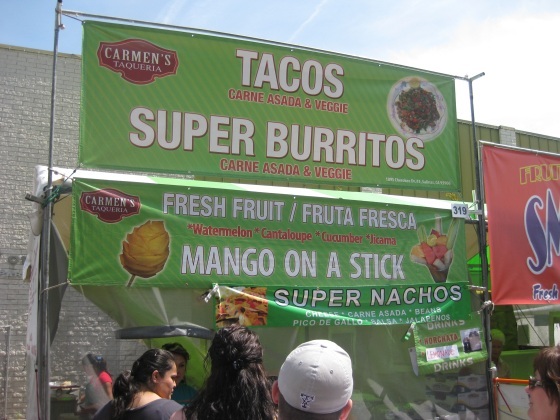 But one thing really caught my eye – Mango on a Stick? Oh yes! 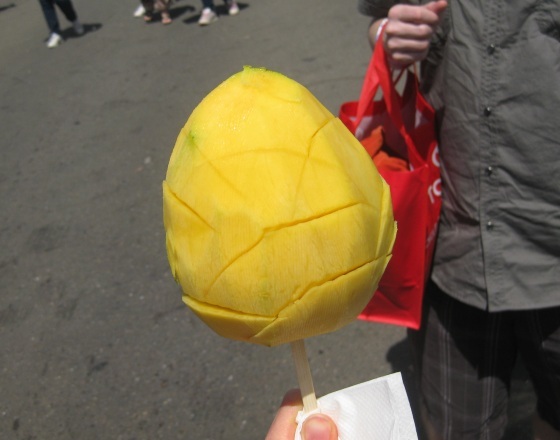 A skinned and sliced mango served on a stick. I think this is the only way I’m eating mangoes from now on! Simple, delicious and surprisingly not messy to eat. 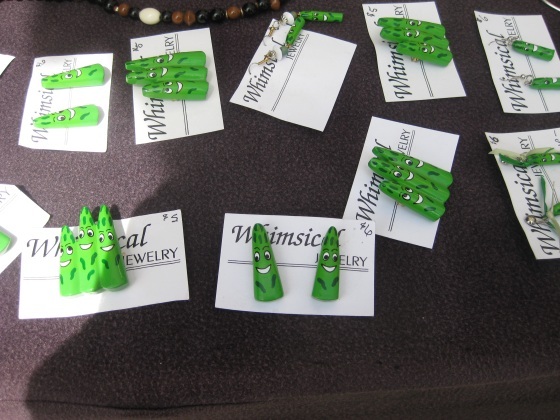 I was tempted on the asparagus earrings. 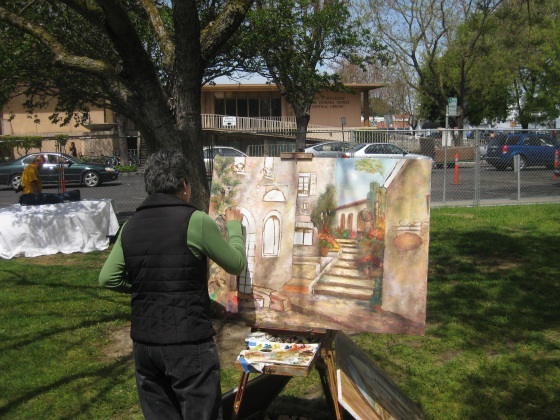 But got mesmerized watching an artist at work. 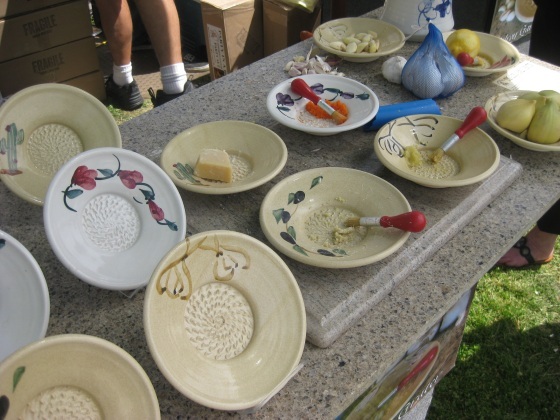 Another popular item for sale were these garlic grating dishes. They looked interesting, but I can’t see them working better than my garlic press. 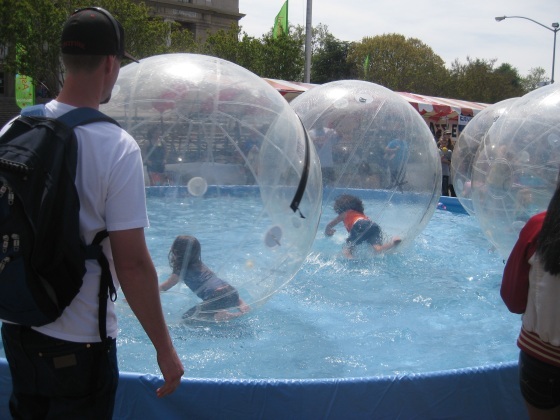 I was so jealous that only kids could get in these floating hamster balls! 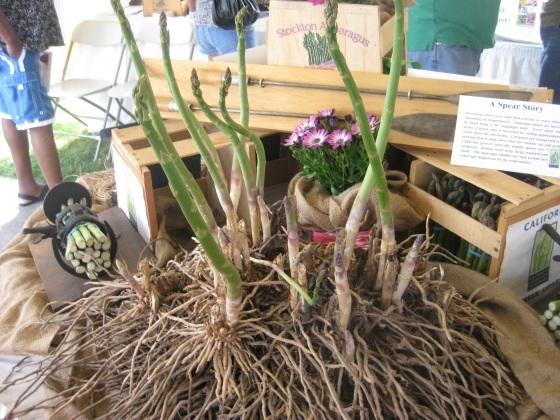 This rooted live asparagus display was gorgeous. 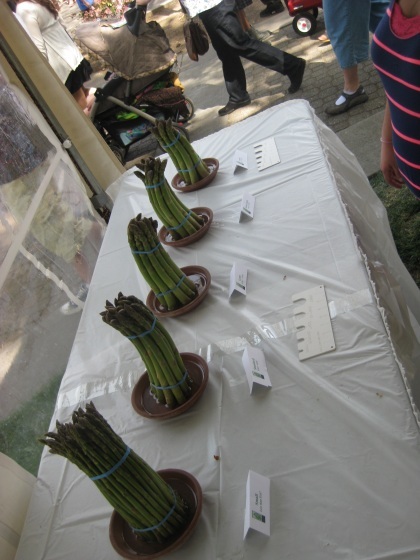 I didn’t know there were so many size varieties of asparagus. 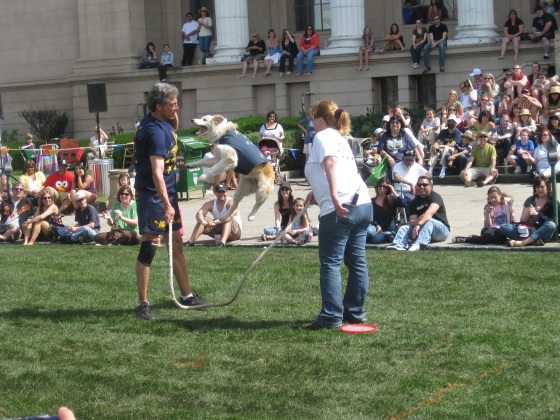 We also caught a dog show featuring rescued dogs and benefiting local animal shelters, I’ve never seen dogs skateboard or jump rope – pretty impressive! 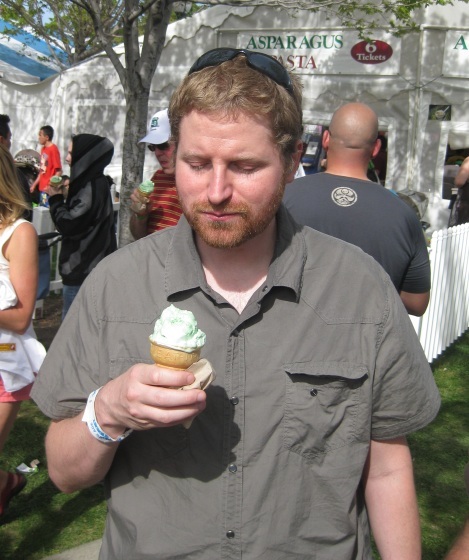 Finally hubby had to try one more treat – asparagus ice cream. No vegan version – bummer! He said it was pretty good for tasting like asparagus. By 5PM we were wiped after hours of walking in the sun and sweating. 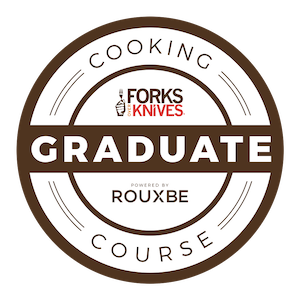 The festival was a lot of fun with cooking demonstrations, home shows, fun vendors, wild foods, entertainment, and great people watching. Even if the outhouses were a little stinky. :-P We’ll definitely go again soon. 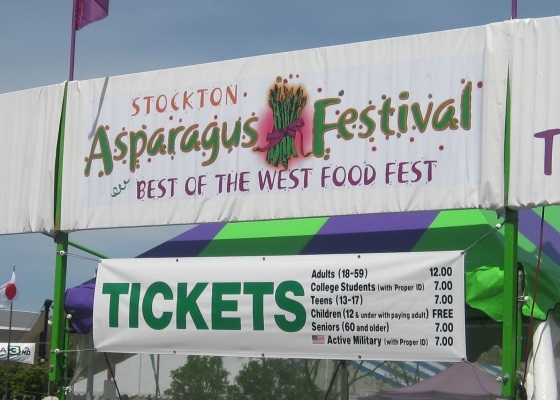 That Asparagus festival is one of the funniest things I’ve seen. Love it! I love asparagus. I would have loved the festival. The fried aspg looks great..and I am not a fried food girl, but that really does look so good! “I think this is the only way I’m eating mangoes from now on! Simple, delicious and surprisingly not messy to eat.”– I JUST posted about mangoes and the whole peeling/eating phenomenon earlier in the week, you may recall that post of mine..and oh my yes, if someone would peel and “stick” my mango for me, I’d be happy and thank them endlessly! Ha– what a fun festival!!! 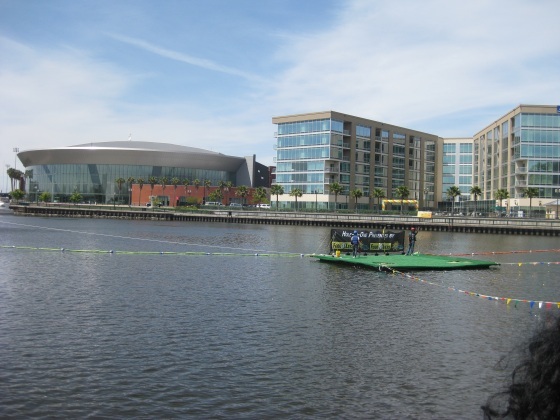 I’m very jealous of the hamster ball kids– that looks like a ball (haha). 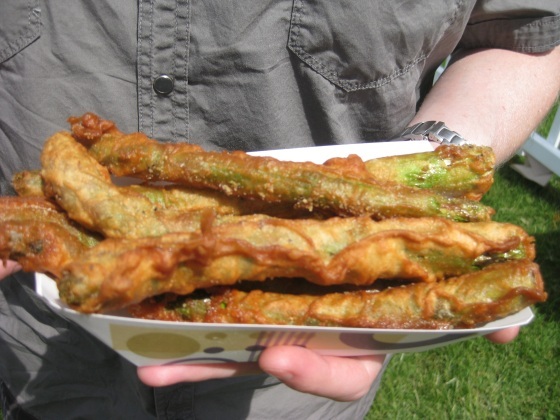 And the fried asparagus– YUM. 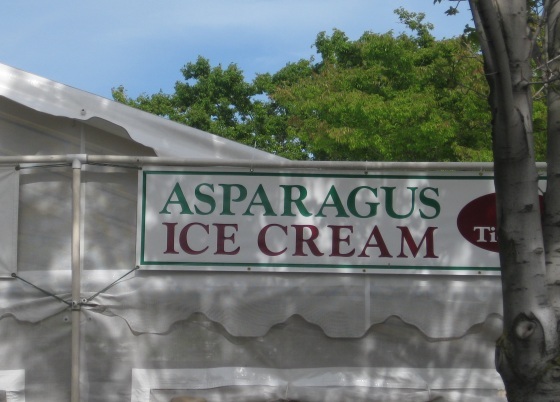 What a festival :) I would probably try deep fried asparagus just for the novelty factor! 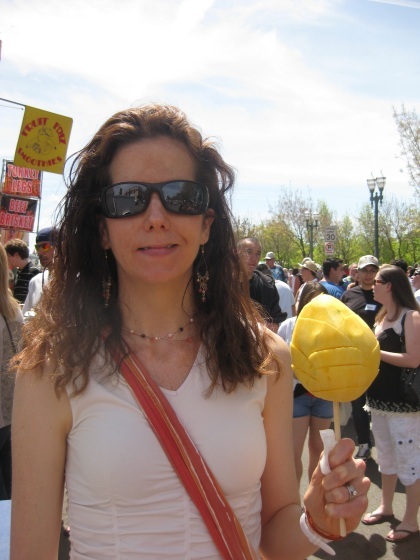 As soon as I saw the sign for mango on a stick, my eyes lit up and I thought, now thats what I would get, and then I see your photo below with it! Love it! Looked so good!!!!!! Ok the fried asparagus looks to die for, I would wait a long time in line for those! Im glad you guys didnt have to though! So glad you had a fun weekend! Awesome pics!